The hotel is surrounded with green scenery and overlooking the magnificent Mount Ungaran. 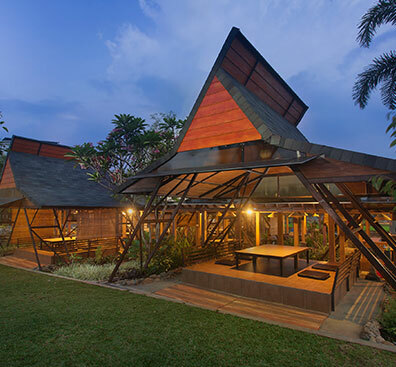 The Wujil Resort and Conventions is a stopover in the encounter of three major cities, Semarang, Solo & Yogyakarta. Located at the foot of the Mountain with its green landscape will take you back to purely nature. With its ease of access to tolls and a myriad of tourist attractions, The Wujil presents a mix of business and leisure travel. Enjoy a wide range of mouthwatering cuisines while delighting in the natural beauty of Mount Ungaran. A marvelous setting, friendly environment and warm service – simply adds pleasure to your stay. With customized seating arrangements, warm hospitality and stunning natural backdrop, delight your productive meeting in an extensive variety of facilities at your disposal. THE WUJIL Looking for hotel which can combine business and leisure?